First Regional and 2nd Best of Breed Winner in CFA. Blue Cream Pt AKA Blue Tortie Pt Siamese. Clown is the matriarch of Clowntown. She is still alive in the 19th generation of Clowntown cats. Grand Primer Clowntown’s Pop-Eyes, Seal Lynx pt. neuter, 19th generation from Clown. Clowntown’s Pop-Eyes, Seal Lynx pt. neuter, the 19th generation from Clown. He is the Son of Minnie Mouse. GC, BW, RW Clowntown’s Bonnieblu Eyes of Jedi, DM. Seal Lynx Pt. Siamese (CPSH) Best Of Breed CPSH CFA 2012-2013 Show Season Clowntown’s the 18th generation of direct Clowntown breeding, descendent of Thistledown's Clown of Clowntown . GC. Clowntown’s Just Icing On The Cake, Seal Pt. male Siamese, in Hawaii (kitten picture). Seal Lynx Pt daughter of Betty Davis Eyes. She was Betty’s 5th grand champion offspring. 18th generation of Clowntown breeding. GC. Clowntown’s Nineteen & Counting, Red Pt. CPSH, the 19th generation from Clown. 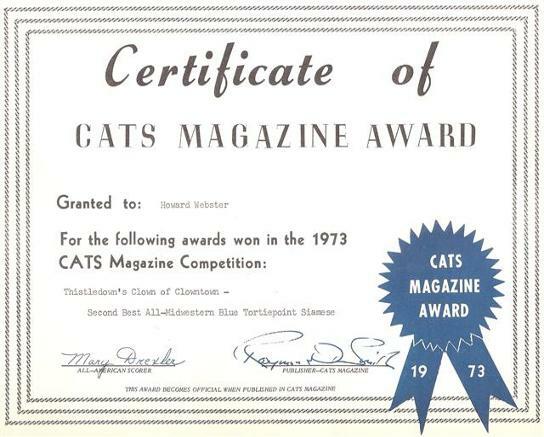 The CFA Siamese has been a major part of Clowntown's History and development. Since The Colorpoint Shorthair was considered a “Different Breed” only by CFA We needed to do both in order to improve type. 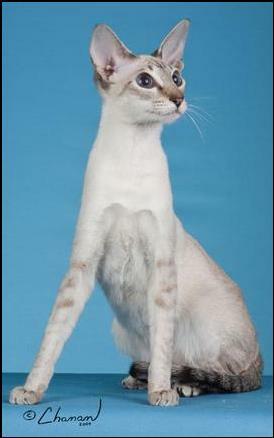 A Siamese male could be used with all the Slinky groups, making it easier to keep less male cats. You could use the Siamese boy on everyone! So that is what I did. 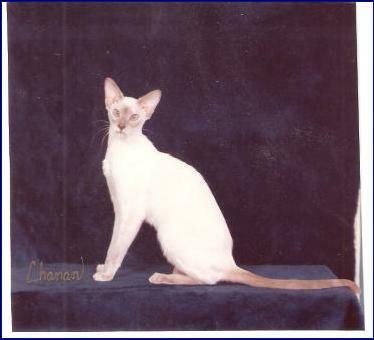 We have been working on other breeds more for a while now and have not spent a lot of time on the CFA “Siamese” . 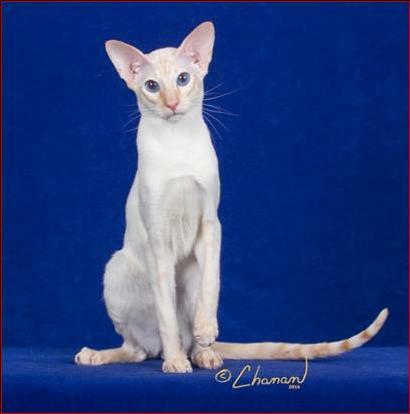 Clowntown, as many other associations, believe ALL the group is a Siamese, just with different colors and hair lengths! There has never been pure cats and the closer to purity you get, the closer to death you get. Healthy cats require a diverse gene pool and low inbreeding coefficients. Do you believe that blonds are a different species than red heads? Of course not and it is the same with the Siamese family. It has been proven genetically but like religion, many cannot deal with the reality when facts get in the way of beliefs. 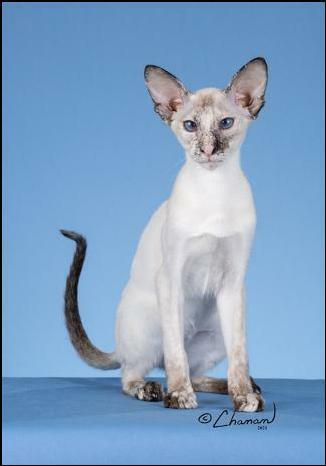 Clowntown does, however, for CFA have "pure" Siamese cats for CFA shows and breeding purposes. These Siamese are a product of 36 years of Clowntown CFA “Siamese” breeding starting in 1979 with Ch Sin-Chiang's Sassy of Clowntown. 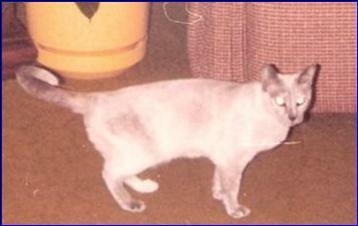 A Seal pt Siamese From Betty Crotzer of Dallas, Texas. She was a Daughter of GC NW DM New Moon Eclipse of Rogers Hts. I was able to Meet Clipper when I bought Sassy and he was a wonder cat. I am proud to still have a line from him!